Looking for a budget-friendly way to update your denim collection? We've rounded up 19 options under $100 to help you out, proving you don’t always have to spend a pretty penny to get a pair of jeans that look great and fit well. From on-trend embroidered details to cropped flares you'll wear all summer and fall, check out our affordable and stylish denim picks! Scroll though to see and shop 14 pairs of jeans with a price tag your wallet will love. A staple piece of denim for every closet. Pair these with your favorite Sunday afternoon top and colorful slides. These are super afforadable; add them to your summer wish list stat. 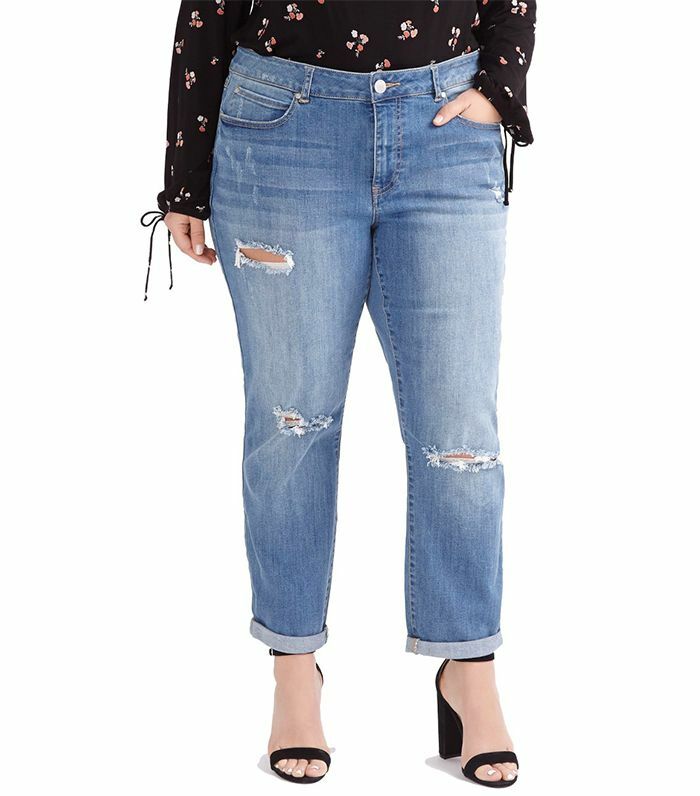 Classic jeans that look great paired with any statement top. We love the two-tone detail here. Pair these super-flattering high-rise jeans with stilettos for an elevated look. For under $50, you can get two! Wear these with a simple white tee. These would look great with block heels or mules for any occasion. The adorable embroidered roses give these jeans some added flair for summer. Madewell is known for its great denim. Grab these while they're still on sale! Contrast denim is everything right now. We're loving the uneven hem and pocket detailing on this pair. This bright and bold pair is one we absolutely love. Trust us. Topshop denim never disappoints. For under $50, this pair is such a score. Leave it to Zara to deliver the most perfect pair of distressed boyfriend jeans. Up next, shop the flats every fashion girl will wear with skinny jeans this summer.